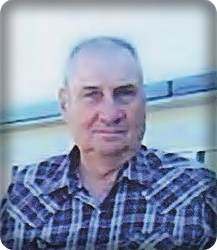 John W. Post, age 80, of Caledonia, went home to be with his Lord on Monday, March 11, 2019. John was a lifelong farmer in Gaines Township, and a carpet installer for 33 years at Klingman's. He was preceded in death by his parents, August and Jessie Post; brother, Donald Post; and sister, Marilyn Post. John will be lovingly remembered by his wife of 55 years, Marilyn; children, Gary Post (Amie Stout), Barbara (David) Stockwell, John Post, Jr., Sharon (Brian) Medendorp, Marcia (Rory) Vanderby; grandchildren, Makayla, Jace, Brittyn Vanderby, Brooke Medendorp; sisters and brother, Carolyn (Walter) Corson, Andy Post, Betty (Hank) Kapteyn, Linda (Jim) Mulder; sisters-in-law, Eleanor Vrosh, Carol (Gene) Kosters; many nieces and nephews. The family will greet visitors on Wednesday from 2 - 4 and 6 - 8 pm at Stroo Funeral Home. The funeral service will be held at 11 am on Thursday, March 14, at Caledonia Christian Reformed Church, 9957 Cherry Valley SE, with Rev. R. Scott Greenway officiating. Interment will be in Dutton Cemetery. Memorial contributions may be made to the Outdoor Club at Caledonia CRC. RIP John. You left us all with great and fun memories of you. You will always have a special place in hearts that will be with us forever!